December | 2013 | Om nom nom! Stuffed ‘shrooms are one of my favorite appetizers for parties, since they’re easy, portable, and tend to be a crowd-pleaser. I’m actually not a huge mushroom fan myself, but I’ll eat anything with cheese and bacon. 😉 I got this one from Bon Appetite, and just added a bit more bacon and feta, and a bit less spinach (I thought 10 ounces would overwhelm everything else). I think adding some roasted red peppers would be awesome both for color and taste, though, and would do that next time. 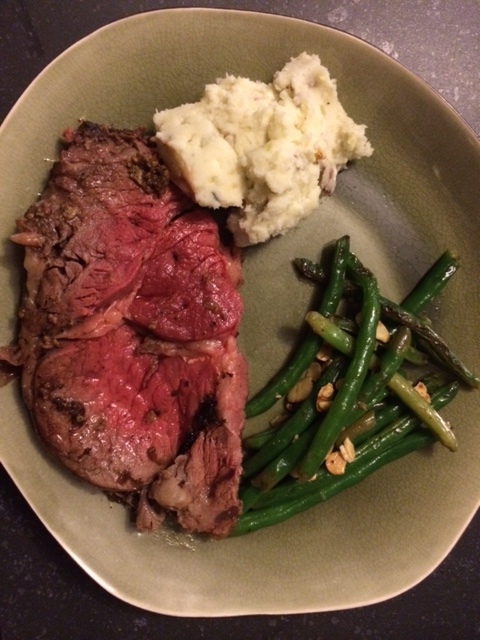 We decided on a standing rib roast for Christmas dinner this year, and I don’t have much experience with them – but this was a winner. Nice cut, easy to do, and found a rub recipe that we really loved! This came from Chow and we were thrilled with it – only change is that I only put the rub on the outside – didn’t cut into the roast. We served this with garlic blue cheese mashed potatoes and green beans…I think this goes down as my favorite holiday dinner I have ever done. I’ve coveted a Kitchen Aid mixer for many years, and my amazing boyfriend Shawn got one for me for Christmas this year! Excited is an understatement! 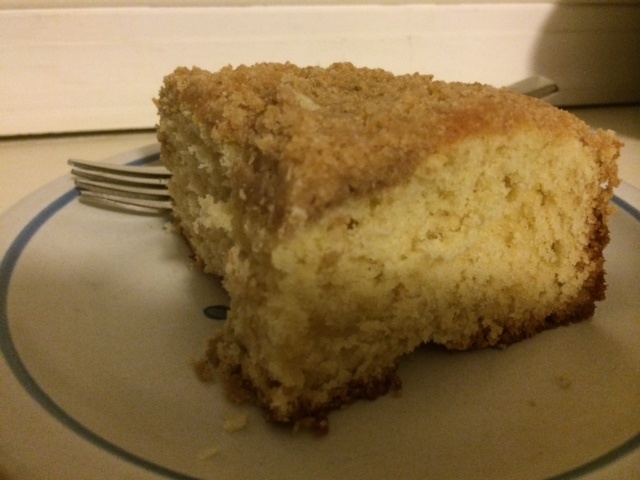 I had already done all my Christmas cookie baking, so I had to think of something else to do (oh jeez, poor me 😉 ) and we decided on coffee cake…it made a nice after dinner snack later in the evening. I’m still stunned over the ease of baking with the Kitchen Aid! This recipe came from one of my favorite baking sites, Joy of Baking, and I combined her coffee cake with a streusel recipe I had on hand. It was my first time making coffee cake and we like it a lot! We decided to go all out for Christmas day, and made this breakfast strata. It’s one I’ve made before for brunches, etc. and it was even better this time with some minor changes (changes included below – this originally came from Cooking Light – just a bit less milk and a bit more cheese). 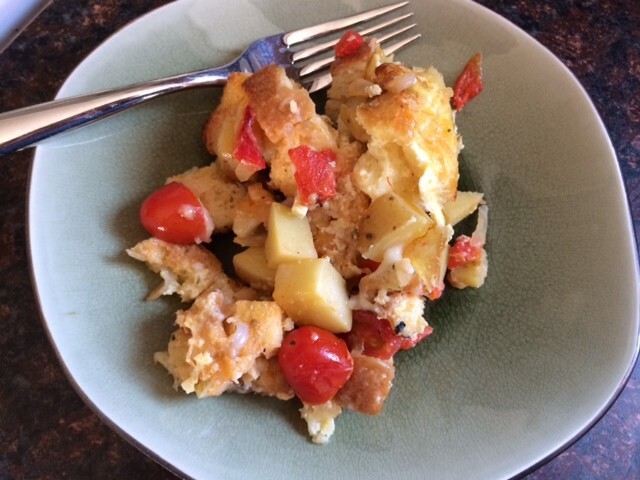 A great holiday morning lunch or brunch item, and the ingredients can be combined the night before and baked in the morning for some make-ahead convenience. 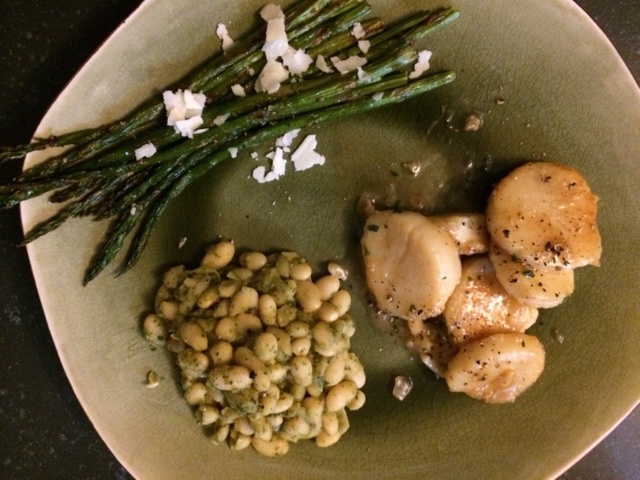 I got this recipe from my friend Missy, and we had it for Christmas Eve dinner with asparagus and white beans. It was excellent! A lighter Christmas Eve meal before the very heavy one the next day. 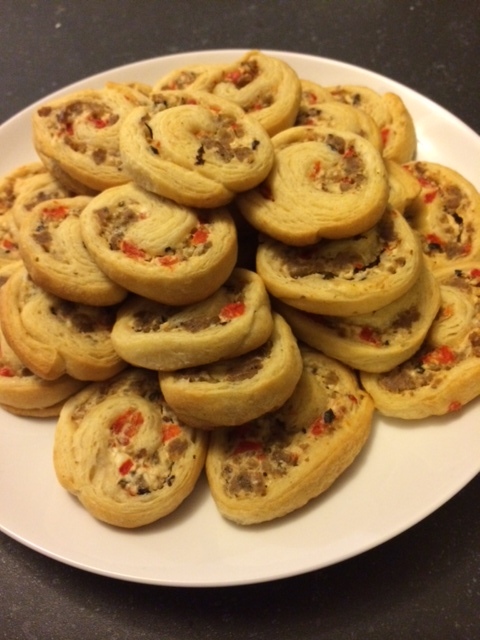 See the recipe at Missy’s website. Possibly it’s a stretch to call this a recipe, but we loved this – just a tossed-together thing that would be good to clean out the fridge. 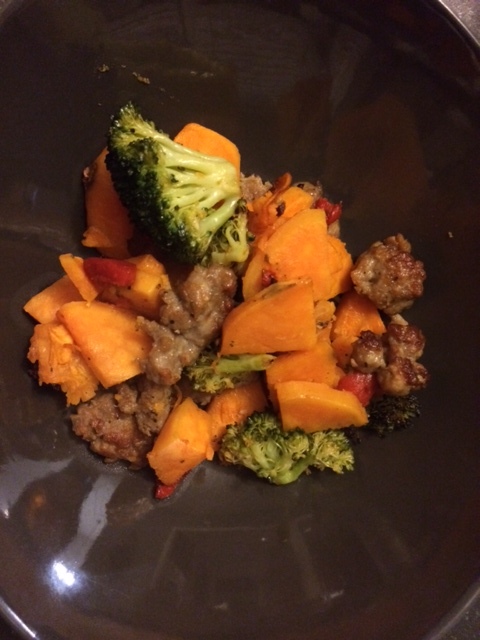 Would work with most vegetables, but I think the sweet potato and sausage base made it. Hot Italian might be really delish. So I really love anything wrapped in biscuit or crescent dough as an appetizer. This was a simple one (they all are, really…even when you make your own dough, which I did not this time) that was pretty tasty – next time I might add some spinach or some other green veggie for color. It’s not really even a recipe, but it is a great appetizer for a potluck…you could probably even use this for a brunch. It’s very flexible and very much to taste.